It’s a grey, oppressively humid day out today for the first day of school. I had a back-to-school anxiety dream where I hadn’t attended a class and didn’t take the final, but it was the only remaining credit I needed to graduate! I haven’t been in school for awhile now, so that wasn’t very pleasant. 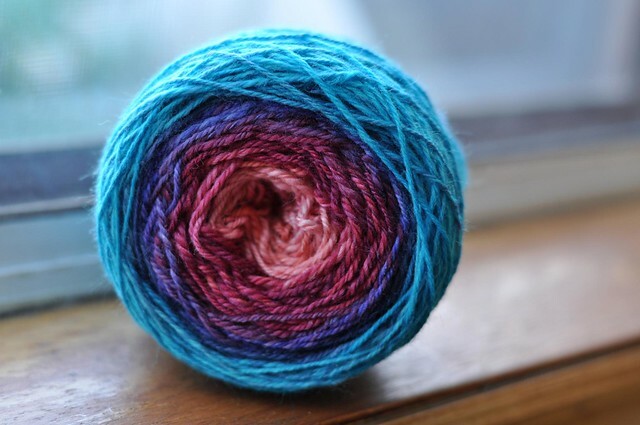 Luckily I have this pretty yarn on my desk to cheer things up. It’s 85% polwarth wool, 15% silk from woolgatherings – and as I was finishing it up, I ordered more fibre! 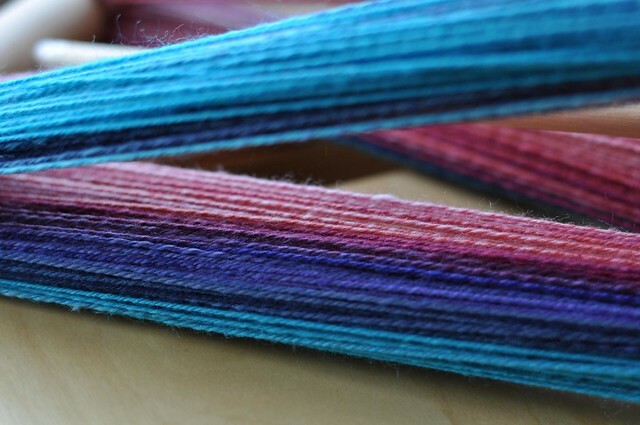 This roving came space-dyed, but I decided to separate out the colours to spin as a single gradient. Then I chain-plied, because I love chain plying! 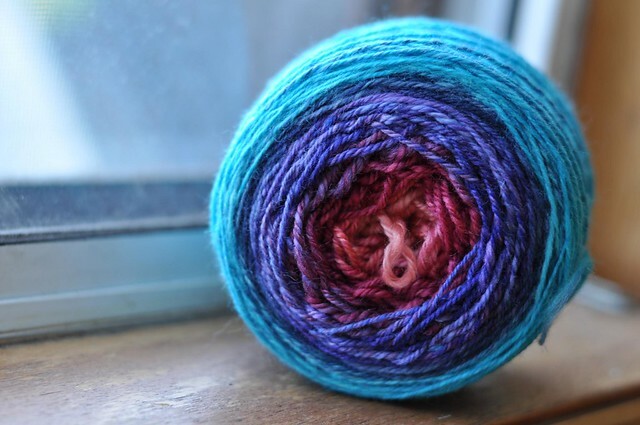 This yarn goes from light pink through peachy pink, fuchsia, purple, navy, and ends up at an ocean-off-the-coast-of-Hawaii turquoise. It’s a nice big skein, 315 yards of maybe sport weight. I’m thinking of adding a shop page to the website here, where I can put up a few skeins of handspun for sale. 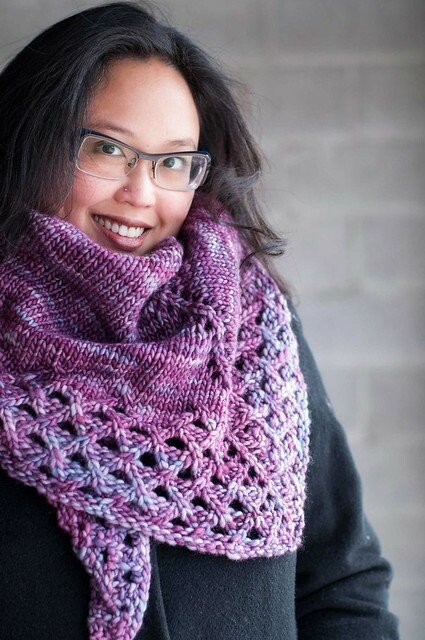 I’ll never be a production spinner, but I would love to see some of this yarn I’ve been making go to loving homes! Now I’m off to the mall (at least it’s indoors) because I have a wedding to go to this weekend, and the dress I thought I’d wear isn’t really doing it for me. Plus I need a new bag. Maybe shoes. It’s a good excuse, right? I’ve had that same dream. Very off-putting. Much better is that yarn! Gorgeous colours.